SUNNYVALE, CA--(Marketwired - Apr 26, 2017) - Today, the CBRS Alliance -- an organization dedicated to maximizing the full potential of LTE-based solutions in the CBRS band -- announced that Cellular Telecommunications Industry Association (CTIA) has been elected to the CBRS Alliance board. CTIA will be represented on the board of directors by Vice President for Spectrum Planning, Paul Anuszkiewicz. Anuszkiewicz brings 30 years of technology planning, network engineering and operational experience to the CBRS Alliance. "It is an honor to be elected to the CBRS Alliance Board," Anuszkiewicz said. "I'm looking forward to serving on behalf of CTIA members and continuing our support of the CBRS Alliance's important mission of building LTE-based solutions to grow the 3.5 GHz ecosystem. This is a unique coalition, and I'm grateful to be joining an outstanding group of industry leaders who are dedicated to true collaboration to advance innovation and connectivity." In his current role at CTIA, he is responsible for technology and technical matters concerning spectrum advocacy, spectrum allocation for the network evolution to 5G and other technical areas to aid CTIA's members and as a resource to policy makers. 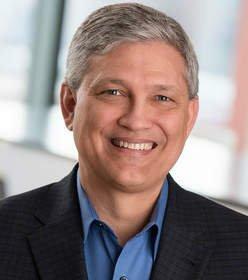 In addition to his role at CTIA -- and most recent addition as a member of the CBRS Alliance board -- he also serves as a member of the board of directors for the Wireless Innovation Forum (WinnForum), a non-profit international industry association dedicated to driving the future of radio communications. He has also worked with several international governments on regulatory and spectrum auction issues. His election to the CBRS Alliance board of directors took place last week on April 19, during the organization's inaugural election of full directors at its Annual All Members Meeting in Denver. "Paul brings a dynamic mix of well-rounded industry experience and technical expertise, making him an excellent addition to the CBRS Alliance board of directors," said Neville Meijers, VP Business Development, Qualcomm Technologies Inc., and chairman of the board for the CBRS Alliance. "The entire organization is looking forward to the opportunity to collaborate with CTIA as we continue to innovate. We're also eager to continue driving the positive momentum demonstrated at the inaugural All Members Meeting. There were 121 representatives from 42 CBRS Alliance member companies in attendance, which resulted in working sessions that were both engaging and productive." Additional traction showcased during the three-day event included CBRS product and technology demonstrations by a number of member companies, further demonstrating the progress made toward bringing CBRS to fruition. There were several breakout sessions held amongst the CBRS Alliance's working groups, which focus on three key areas: technological advancement, the organization's test and certification program and marketing efforts. Each of these sessions also contributed to driving toward the development of LTE-based solutions in the CBRS band. Within the technology working group, particular progress was made in the areas of CBRS network services and coexistence. In addition, the Board of Directors approved the formation of a new business working group targeted at developing new commercial opportunities in the enterprise, education and Industrial IoT areas. For more information on the CBRS Alliance, its board of directors and overarching mission please visit www.cbrsalliance.org. The CBRS Alliance believes that LTE-based solutions in the CBRS band, utilizing shared spectrum, can enable both in-building and outdoor coverage and capacity expansion at massive scale. In order to maximize CBRS' full potential, the CBRS Alliance aims to enable a robust ecosystem towards making LTE-based CBRS solutions available. The mission of the CBRS Alliance is to evangelize LTE-based CBRS technology, use cases and business opportunities while simultaneously driving technology developments necessary to fulfill the mission, including multi-operator LTE capabilities. The Alliance will also establish an effective product certification program for LTE equipment in the US 3.5 GHz band ensuring multi-vendor interoperability. For more information, please visit www.cbrsalliance.org and follow CBRS Alliance on LinkedIn and Twitter.